You think that you are good at making videos. You show your videos to your friends and they like them. You show them to your grandmother and she likes them, too. Even your cat seems to like them, but your videos get just a few likes on Instagram. Well, it is not so easy to get a lot of likes on Instagram. First of all, your video can’t last more than 60 seconds, and it is hard to cram a great idea in such a short period of time. So, how can you make an amazing Instagram video? Before going into details, we must remember that Instagram is a photo and video-sharing social network that was made for iOS and Android. Therefore, there are some technical requirements for making a good video. Besides that, we can point out social requirements and content requirements. 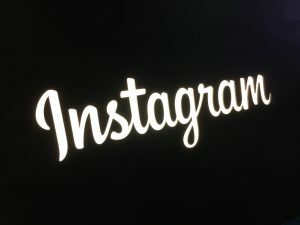 When thinking about technical requirements for a great Instagram video, you should keep in mind that Instagram was made for iOS and Android, so videos made for YouTube or the PC may not look as good on Instagram as you would expect. HD resolution YouTube videos will lose a lot on their quality once they are uploaded on Instagram, so when you want to make a video for Instagram specifically, you should change your camera resolution to 1080 x 1080 or 1080 x 1350, which are ideal for posts, or 900 x 1600, which is great for Instagram stories. Moreover, you must pay attention to the duration of your video because Instagram allows only 1-minute long videos. If you cannot tell your story within 60 seconds, we don’t recommend trimming long videos as that may take a lot of time and you may end up with a terrible video. However, take note that Instagram stories allow 10-minute videos that last for 24 hours. Since Instagram is a social network, the success of your video depends on how many people like it. The chances that your video will be liked are higher if you have a large number of followers because more people will be able to see it. So, if you want to make a great Instagram video, you will need to work on your popularity and build a large follower base. 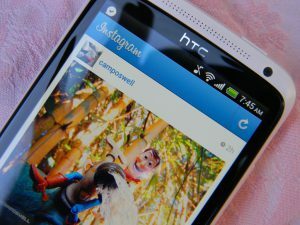 Fortunately, there are many tricks to becoming popular on Instagram. You can actually buy likes and followers, you can try to always post high quality pictures and personal photos, you should be active and post often, you should tag yourself in popular locations and ask other people to tag their friends who have similar interests as your, you should be personal when writing a post, you should like other people’s photos and videos and they will like yours, you could join shoutout pages, and so on. Finally, you should not forget that the content of your video still matters a lot and that your popularity and video quality may not be enough to make a great Instagram video. You should try to come up with an original idea or choose a topic that many people find interesting or appealing. Also, you should keep in mind that the first few seconds of your video are the most important because they are crucial to catching people’s attention.